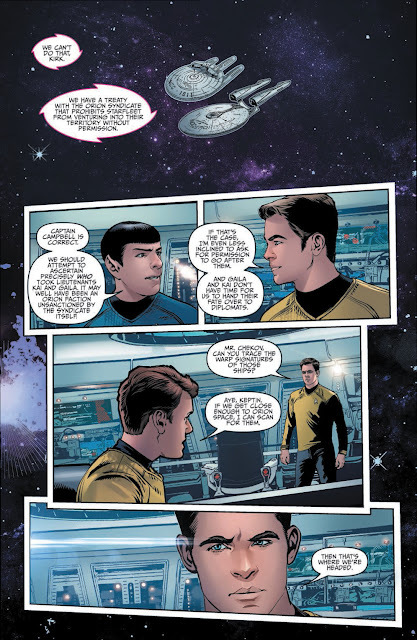 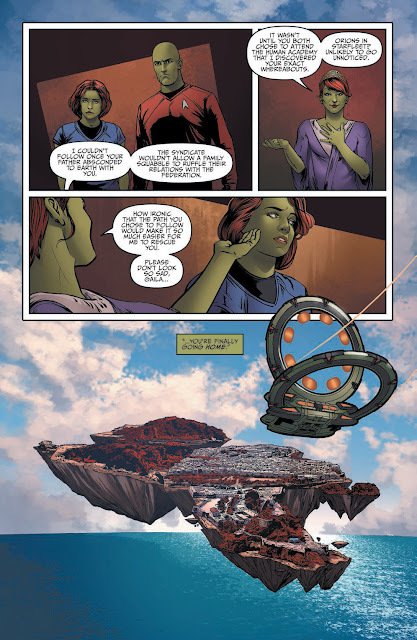 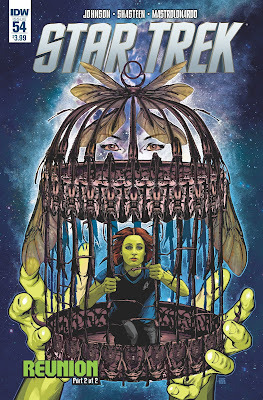 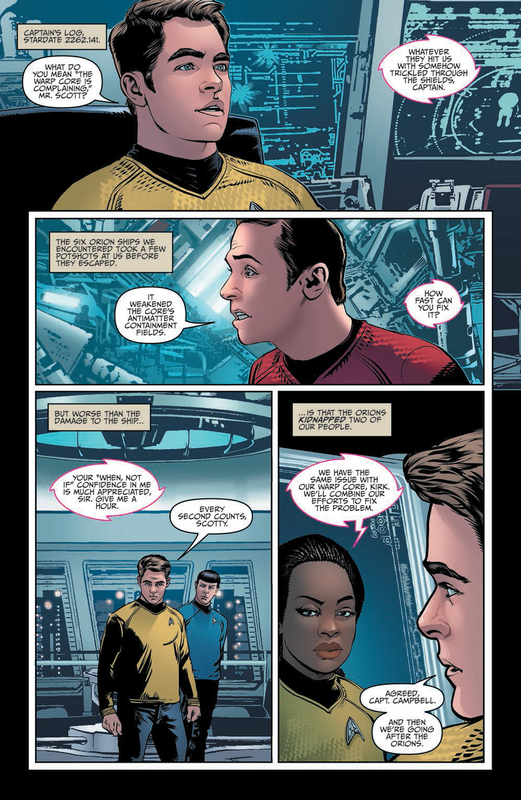 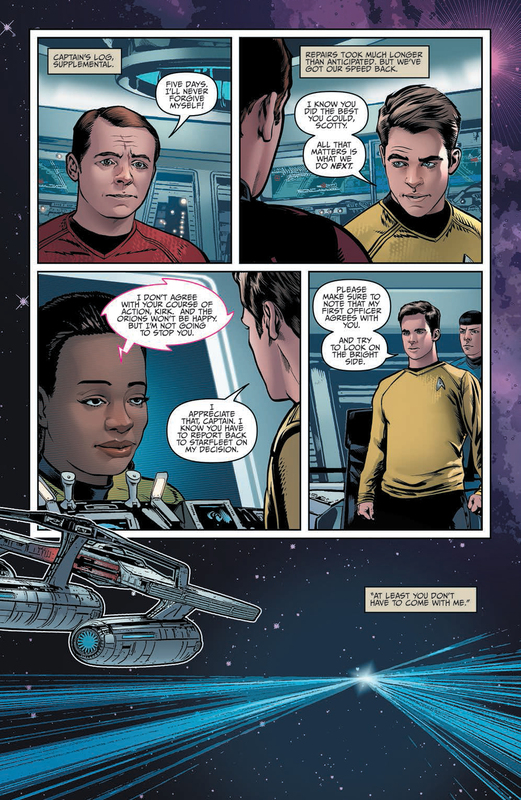 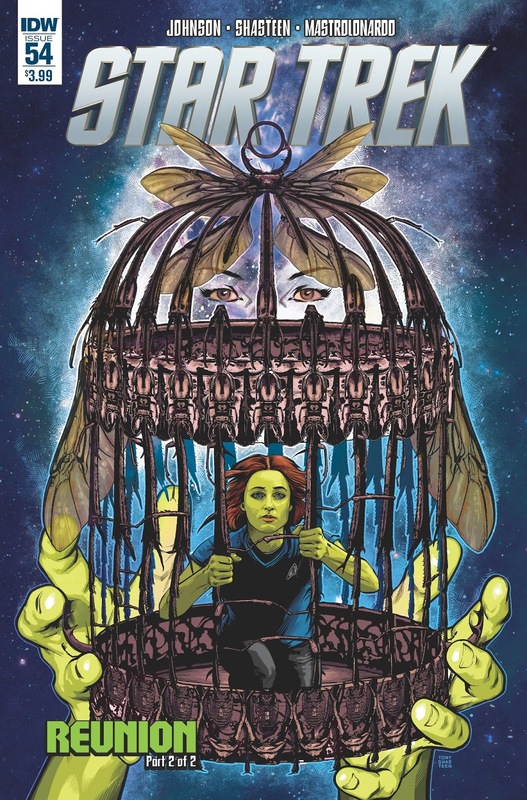 Out this week is issue fifty-four of IDW's nuTrek ongoing comic series, which is the second half of the two-art Orion-focused story, Reunion. 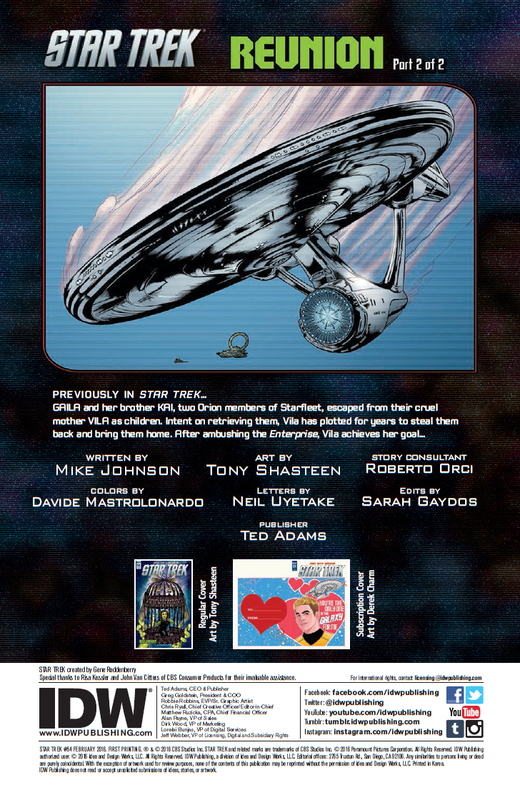 The issues comes from the regular ongoing pairing of writer Mike Johnso and artist Tony Shasteen, with the main cover also from Shasteen. 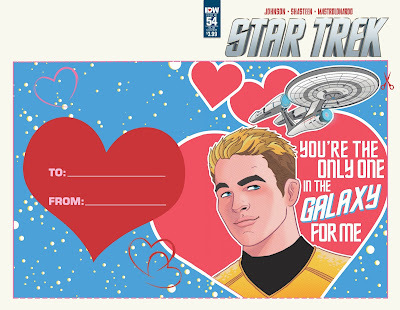 The subscription cover is by Derek Charm, and is part of IDW's Valentine's card themed covers across various titles this month (although you better get your Orion pheromones pumping to distract your love from the fact this is a wee bit late for Valentine's Day!). Continue below for a five page preview from the issue. 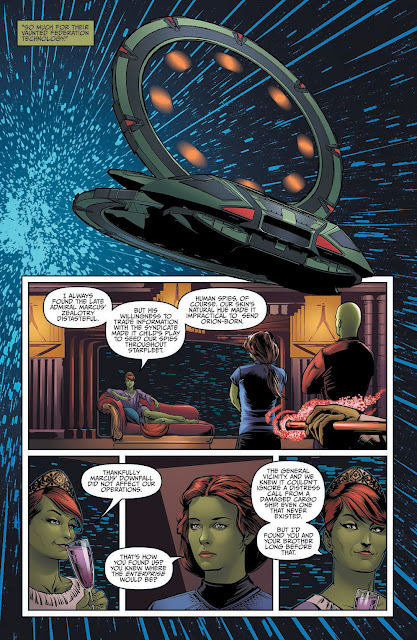 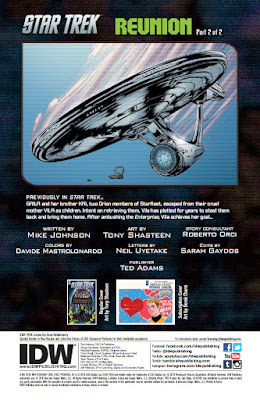 For a refresh of all the stories in the ongoing series, check out my reading list on Trek Collective Lists. And to keep track of all the latest Star Trek comic releases, hit the comics button on my 2016 schedule pages.